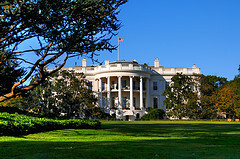 Since 1961, the White House has sponsored a once-a-decade gathering designed to evaluate where we are as a nation in addressing the current and projected needs of older Americans. In the past, the White House Conference on Aging has been a large affair, with hundreds of delegates convening for several days. This year, without federal funding, the conference is more of a virtual happening. There will be an invitation-only day long meeting on Monday in Washington, where President Obama will give the keynote address. Retirement Security: What can be done to assure that the elderly do not outlive their assets? Healthy Aging: How to facilitate keeping older Americans engaged and involved? Long Term Services and Supports: How can we assure an adequate workforce to support the growing number of elderly? How can we utilize and develop technology to assist in this need? The conference will be live streamed on Monday, and one can access it through the White House Conference website. Don’t have the time to tune in all day? You can learn a lot about what the policy experts are considering if you read the policy briefs, also available on the website.